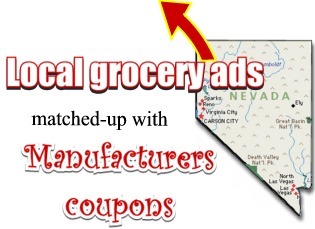 An alphabetical listing of all unexpired manufacturers coupons that have been distributed in your area AND online. The code at the end of each entry means: The initials of which company printed that insert (RP=Redplum insert, SS=Smartsource insert and so on) followed by The date printed on the spine of that exact insert (or in the case of online coupons, the date we first discovered the coupon). 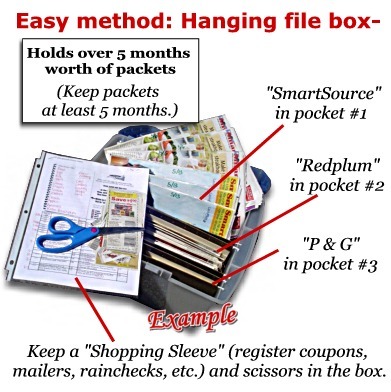 If there is more than one insert from Smartsource, it is named more descriptively, (Sometimes an insert is simply named "General Mills" or "Kellogs"). The inserts always have a date printed on the spine -writing it on the front can make it easier to file. The date in parenthesis is the date the coupon expires. 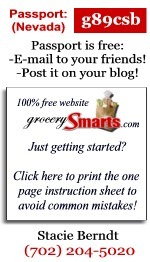 Other codes: PG ="p&g insert", DND =coupon says "do not double", FORM ="mail-in offer"